The all-new 2019 Corolla at Heninger Toyota Calgary; where performance, comfort and style meet. Since the very beginning, the Toyota Corolla Sedan has been known for affordability, efficiency, reliability, and comfort. At Heninger Toyota in Calgary we’re now excited to introduce all the new models, now including a hatchback body style. You can expect the Corolla to compete top in its class of compact sedans with its advanced features such as its aerodynamic body and rear lip spoiler optimize under-vehicle airflow for even better efficiency. It also has advanced features like lightweight body design, low-rolling resistance tires and an ECO indicator to help optimize economy and minimize emissions, all while producing 140 hp. At Heninger Toyota we know safety is important. That’s why for your piece-of-mind, Toyota Safety Sense™P comes standard on every 2019 Toyota Corolla and includes a pre-collision avoidance system that assists in warning the driver of potential dangers. It also is equipped with eight airbags, automatic high beams, and lane departure alert system as well as dynamic radar cruise control. To learn more about Toyota Safety Sense, click here to see the innovative features designed to help protect you and your passengers. The Corolla has premium entertainment at an affordable price. Driving around Calgary will never be boring with a back-up camera, Touchscreen Display Audio, Steer wheel-mounted controls, USB/AUX input, SIRI Eyes-free, Voice recognition, Bluetooth capability and 6-speakers. Heninger Toyota is your dealership if the 2019 Corolla is on your short-list. Heninger Toyota has been in the heart of Calgary since 1968. Tradition, family and values make up some of our core practices. With the Corolla’s reputation being so positive, we make sure to have plenty in stock. More importantly, we’ll be there after the sale. If there happens to be a recall, or for your regularly scheduled maintenance – you can count on Heninger to back you. We service new and pre-owned Toyota models, and if you’re looking to accessorize your new car, look no further than our Accessory offerings. Pretty much, if it’s available for a Toyota, we’ve got it or can get it quickly for you! Toyota Corolla CE 6M- 6.1-inch Display Screen, Backup Camera, Dynamic Radar Cruise Control, and Lane Departure Alert with Steering Alert and much more! Toyota Corolla CE CVT- 4-Cylinder, Wheels : 15″ Steel Wheels, Power-Adjustable, Colour-Keyed Heated Mirrors and much more! 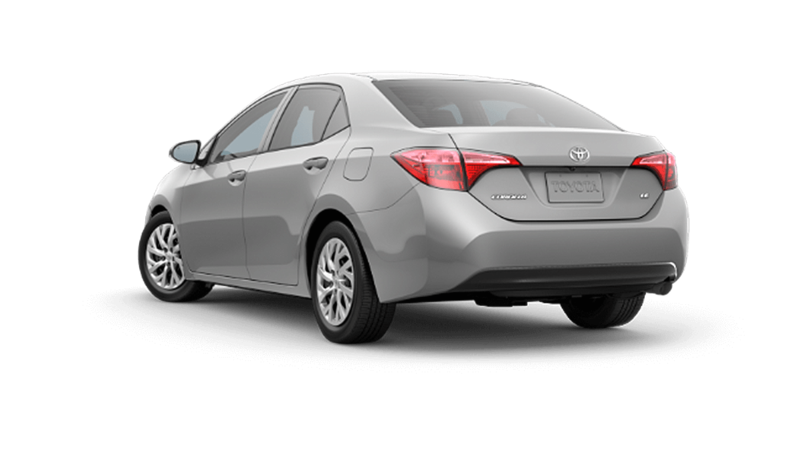 Toyota Corolla SE 6M- Pre-Collision System with Pedestrian Detection, Whiplash-Injury-Lessening (WIL) Front Seats, Keyless Entry with Trunk Release and much more! Toyota Corolla LE CVT- 16″ Steel Wheels, Windshield Wiper De-Icer, Bi-LED Headlamps and much more! Toyota Corolla LE ECO CVT- Continuously Variable Transmission Intelligent Shift, Hill-start Assist Control, Electric Power Steering and much more! Toyota Corolla SE CVT- Sport Mode, Paddle Shifters, LED Reverse Lights and much more! * MSRP does not include Freight & PDI of $1,645, Air Conditioning Charge of $100, license, insurance, registration, applicable taxes, levies and Fees. Dealer may sell for less. Your local dealer may charge additional fees.